I was putting a few things together recently for the WEBCO Employee fun sailing day brunch! It was a special event where our valued employees and their significant others were treated to a company wide appreciation day! We closed for the entire day on a Friday and all piled into a comfortable charter bus around 9:30 am. I had prepared some food dishes to share on our two-hour drive from the office in Anoka to Lake Pepin, Wisconsin. 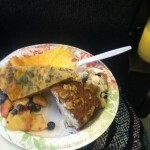 We enjoyed some Mimosa’s, along with some homemade breads, (banana bread, sweet butter braids and blueberry muffins that I’ll post in other blogs) quiche, and some fruit. There were two types of quiche. 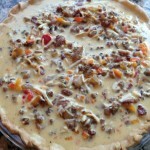 One, which contained meats and sweet peppers and onion; as well as a very plain variety with just the eggs and cheese mixture. 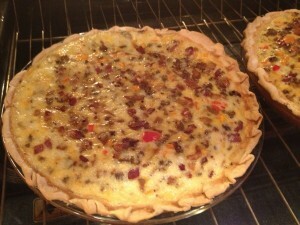 Quiche is a very is a savory, open-faced pastry crust with a filling of savoury custard with cheese, meat, seafood and/or vegetables. 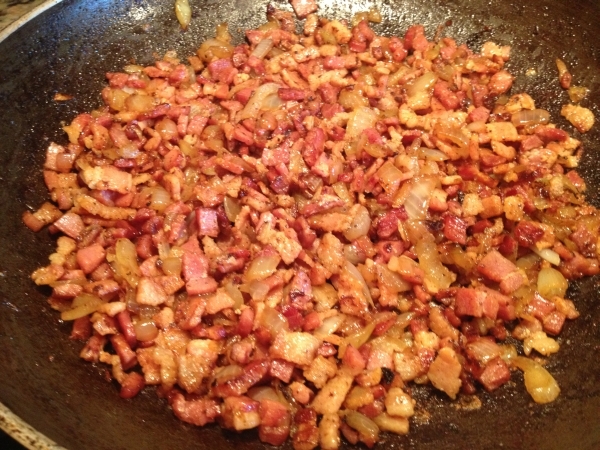 It can be served hot or cold; and is a part of French cuisine. 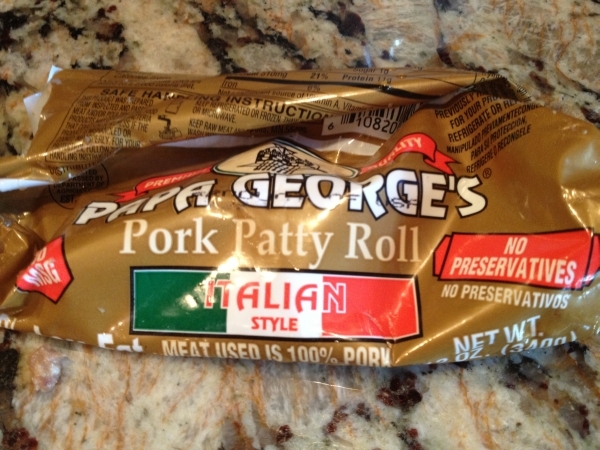 We often eat it while traveling in wine county at room temperature, so I thought that it would be the perfect dish to get our day started! Pre-heat the oven to 350 degrees. 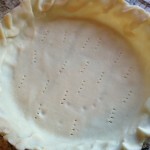 I like to pre-cook the crust so that it is more crisp. 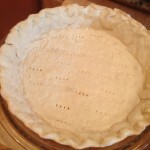 Start out by rolling out the pie crust into a glass 9-inch, deep baking dish. 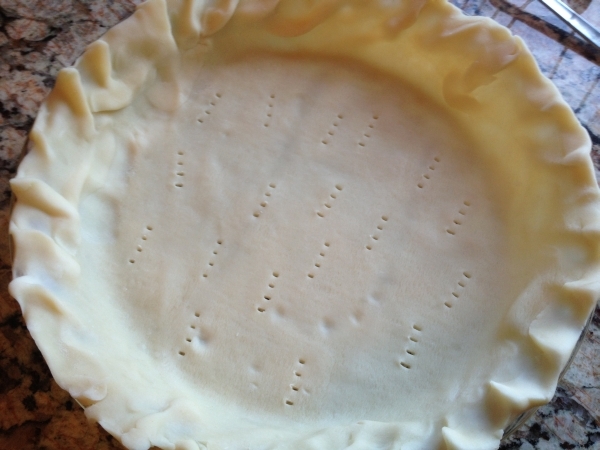 Pinch the edges and poke holes in the bottom with a fork. 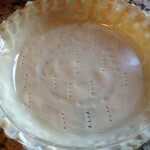 I take a second glass pie dish that is slightly smaller and place it directly on top of the unbaked crust. 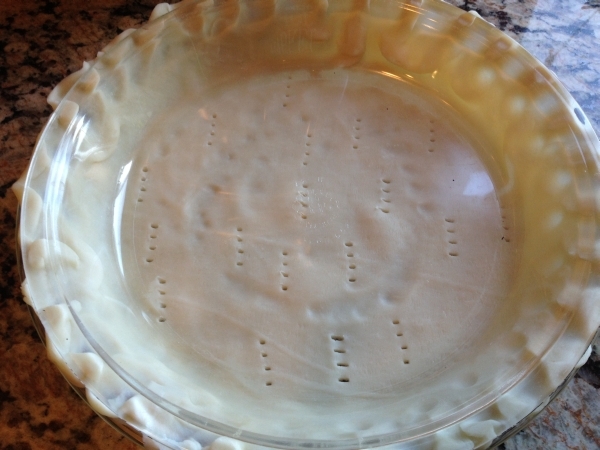 place into the oven and bake for about ten minutes until it is beginning to brown and crust up. 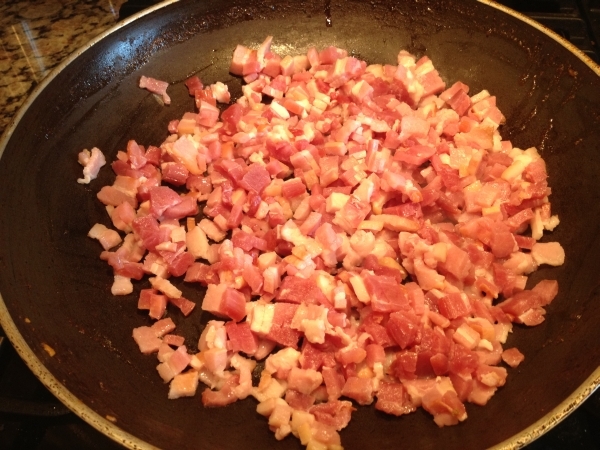 Meanwhile, cook the bacon in a saute pan until it begins to crisp up. 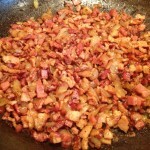 Add half of the chopped onion in a saute until onions are caramelized and the bacon is crisp. Drain and set aside. 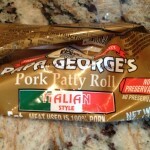 I had an Italian style ground sausage on hand, but you could use any variety including breakfast style sausage. 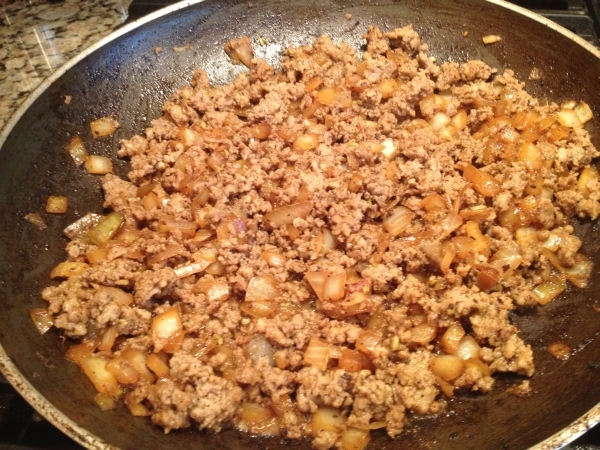 In a saute pan, cook the ground sausage with half of the chopped onion until the sausage is cooked through and the onions have become translucent. In a medium mixing bowl, hand mix the eggs, breaking the yolks before whipping them with the half-and-half, mayonnaise, and flour. 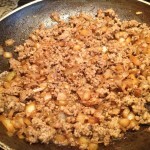 Add remaining ingredients including the cooked, drained meats. Mix in half of the shredded cheese. 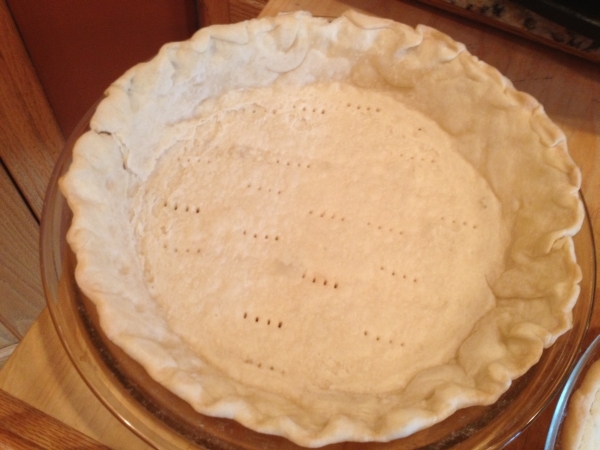 Bake for 40 to 55 minutes or so until the top is golden brown. Add shredded cheese and bake an additional five minutes until the cheese is browned. 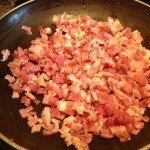 Sprinkle with parsley for a garnish. Allow to stand for five or more minutes prior to cutting into wedges. 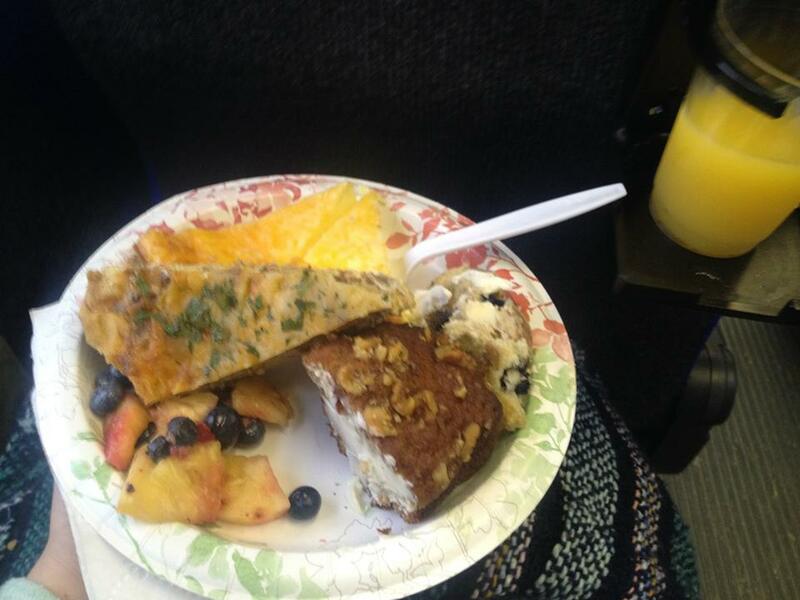 This was Michelle’s plate that she was able to enjoy on the bus! Another type of egg dish was simple and did not have a crust. 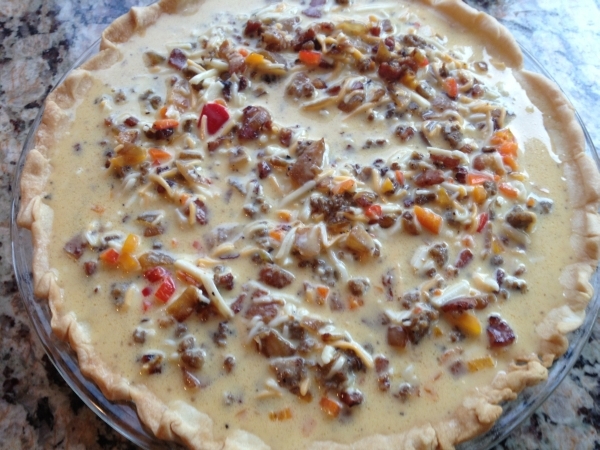 I poured the same egg mixture, omitting the vegetables and meats into a glass pie dish that had been sprayed with non-stick cooking spray. 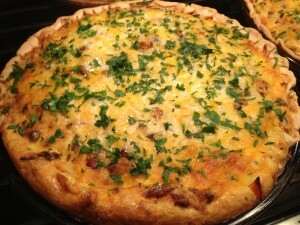 It was topped with melted cheese and too was enjoyed at room temperature. The sailing was a blast; followed by a delicious dinner and we were all back to the office by 9 pm.